Last year, a dog named Carla was out walking through Germany’s Black Forest when she came upon a lone fawn. 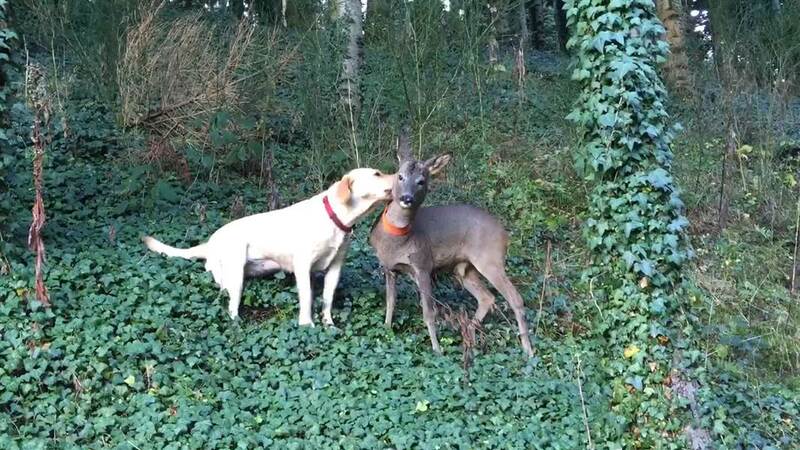 They developed a bond, and even now, the young stag is still best friends with her, and comes to visit Carla in her part of the forest. When Carla met the little guy on the tree farm in the woods, she nudged him with her nose and gave him a kiss. “Carla immediately took up a mother role, when she found the abandoned baby stag during a hike through the forest,” owner Helga Kuderer told NBC News. She and husband Andreas adopted the fawn, and called him Peterle. They raised him on goat’s milk for six months before he was ready to make it on his own. But he and Carla remained friends. “Every day, Peterle visits Carla, they play around, cuddle and then eat some oatmeal and dog cookies together,” Kuderer said. A year-and-a-half later, and visitors to the farm are still delighted to see the two frolicking through the trees. “The stag wears the signal colors (orange collar), so that hunters in the region do not go after him,” Kuderer said. 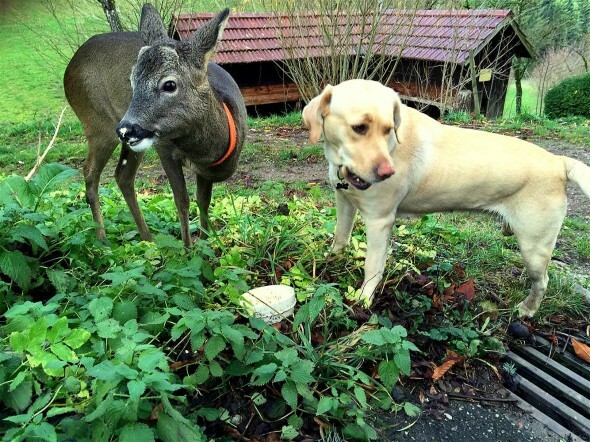 Responses to "Dog & Orphaned Fawn Form Lifelong Friendship at German Forest"